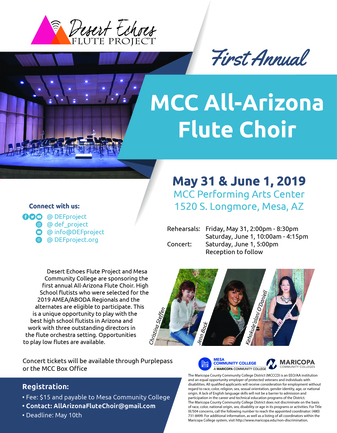 Mesa Community College and Desert Echoes Flute Project are sponsoring the first annual All-Arizona Flute Choir. 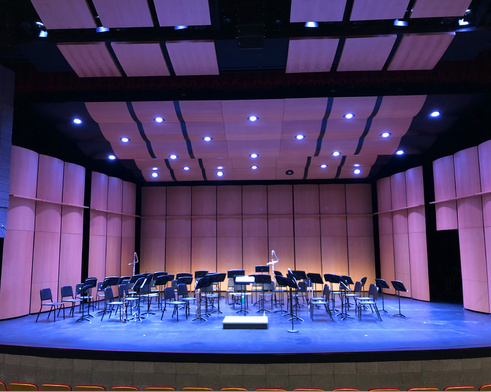 High School flutists who were selected for the 2019 AMEA/ABODA Regionals and the alternates are eligible to participate. 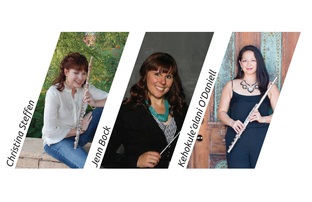 This is a unique opportunity to perform with the best high school flutists in Arizona and work with three outstanding directors in the flute orchestra setting. 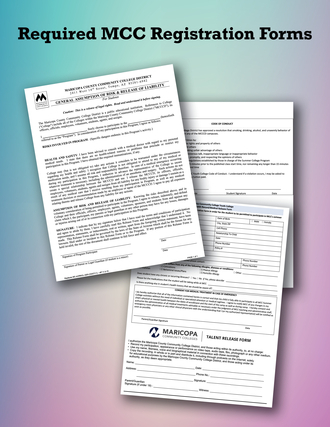 Opportunities to play low flutes (alto and bass) are available.